Baking Molds There are 25 products. 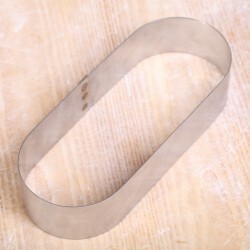 Professional oval shaped kano baking ring. Also used by patissiers to make the famous Dutch kano's. Professional rondo baking ring. 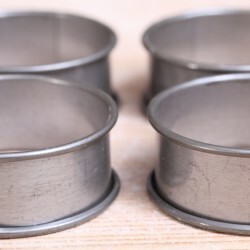 Used by patissiers to make the famous rondo's filled with delicious almond paste or frangipane. 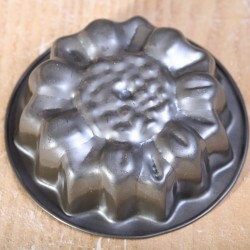 Professional alusteel 'vlaai' mold. 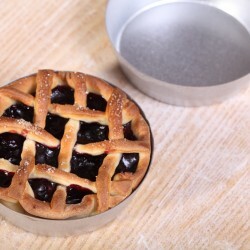 diameter: 10 cm, height: 2.8 cm For small, indivual pies. 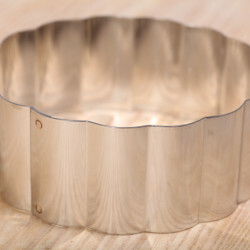 Professional thick quality stainless steel oval shaped baking ring. 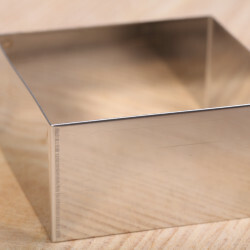 Premium mold and cutter in shape of a square. For cakes and desserts. Diameters 8 cm / 3.1 inches, height 4 cm / 1.6 inches. 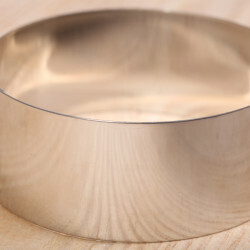 Made of very high quality stainless steel. Can be used in oven, fridge and freezer.Made within the EU. Premium mold and cutter in circle / round shape. For cakes and desserts and food presentation. Diameters 10 cm / 4 inches, height 4 cm / 1.6 inches. 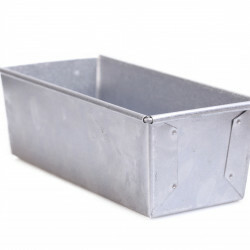 Made of very high quality stainless steel. Can be used in oven, fridge and freezer.Made within the EU. 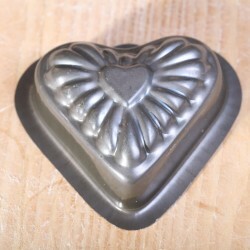 Premium mold and cutter in shape of a heart. For cakes and desserts. Diameters 10 cm / 4 inches, height 4 cm / 1.6 inches. Made of very high quality stainless steel. Can be used in oven, fridge and freezer.Made within the EU. Premium mold and cutter in shape of a star. For cakes and desserts. Diameters 10 cm / 4 inches, height 4 cm / 1.6 inches. Made of very high quality stainless steel. Can be used in oven, fridge and freezer.Made within the EU. 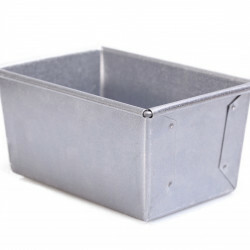 Premium mold and cutter with scalloped edge. For cakes and desserts. Diameters 10 cm / 4 inches, measured from point to point, height 4 cm / 1.6 inches. Made of very high quality stainless steel. Can be used in oven, fridge and freezer.Made within the EU. Premium mold and cutter with serrated triangular edge. For cakes and desserts. Diameters 10 cm / 4 inches, measured from point to point, height 4 cm / 1.6 inches. Made of very high quality stainless steel. Can be used in oven, fridge and freezer.Made within the EU. 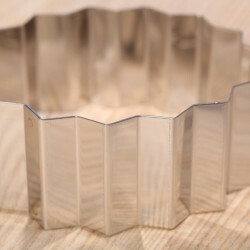 High quality, non-stick silicone mould for making financier cakes. Can be used at temperatures from -60ºC to 230ºC (-76ºF to 450ºF). 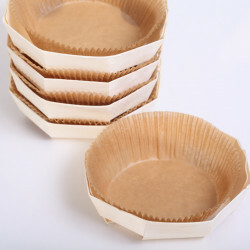 High quality, non-stick silicone mould for making small financier cakes. Can be used at temperatures from -60ºC to 230ºC (-76ºF to 450ºF). 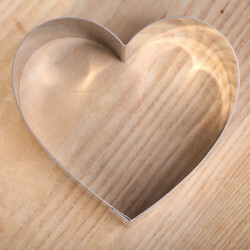 Cute Heart shaped baking mold. 9.5 cm with silicon coating. 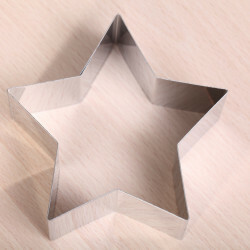 Cute star shaped baking mold.11.5 cm, made of steel with silicon coating. 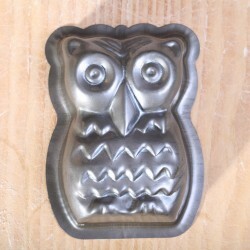 Cute Owl shaped baking mold. 10 cm, made of steel with silicon coating. 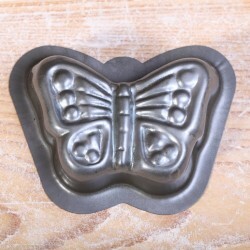 Cute Butterfly baking mold. 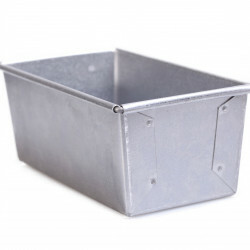 8 x 10.5 cm, steel with silicon coating. 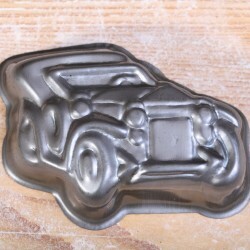 Cute oldtimer car baking mold. 8 x 11 cm cm with silicon coating. 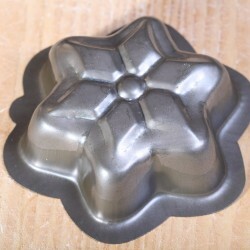 Cute Sunflower shaped baking mold. 11.5 cm with silicon coating. 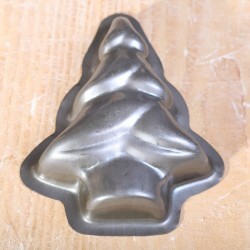 Cute Christmas tree shaped baking mold. 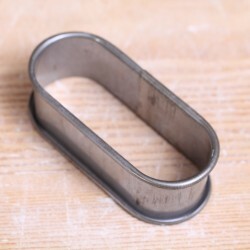 12.5 cm, steel with silicon coating.